By now, most people have heard of Elon Musk’s ambitious hyperloop project: a new train system that has the potential to forever change public transportation. The system has been hyped up as a revolutionary means of rapid travel, perhaps even going faster than planes. Understandably, then, many have been excited to begin the implementation of the technology in the United States. Elon Musk himself claims to have already received approval to begin the development of the project, and the Virgin Hyperloop One Company intends to start construction as early as 2019. But before jumping to the Hyperloop, there is another train system worth considering that is already feasible today: the high-speed rail. In many ways, high-speed rail is the medium between the Hyperloop and the traditional train: it operates in a similar fashion to the typical rail system, and it reaches speeds significantly faster than trains but slower than those projected for the Hyperloop. While the locomotive is a development of the past and the Hyperloop is an invention for the future, the high-speed rail is a modern-day technology that is primed for implementation. In fact, numerous high-speed rails have already been integrated throughout the world. Since its debut in Japan, the system has spread throughout Asia. Currently, China has the largest high-speed rail network in the world, containing 20,000 kilometers of lines with an additional 15,000 planned by 2025. India is also launching its own high-speed rail line with the support of the Japanese. The trail will extend for 508 kilometers and will reach top speeds of 350 km/hour. High-speed rail has also already debuted in Europe as well. This past summer alone, France launched two new lines connecting Paris with Bordeaux and Rennes, and Britain announced plans for a new network that is projected to open in late 2026. Indeed, First World countries can’t seem to get enough of high-speed rail. That’s because, despite its high costs, the system can produce several advantages. The implementation of high-speed rail systems has the potential to create significant economic growth in the regions surrounding the networks. The construction of the rail system itself could generate jobs across numerous sectors. The construction of the route between Beijing and Shanghai alone involved over 100,000 workers, and thousands of other jobs would also be created in engineering, planning, maintenance, and operations. Another crucial benefit that high-speed rail systems bring is access to new markets for consumers, workers, and businesses. This increases the spatial distribution of economic activity and connects market sectors together. Empirical evidence demonstrates that economic development sprouts in areas with better transportation infrastructure. For instance, it grants consumers new places to find products, and it opens new opportunities for workers. Additionally, exposing companies to new consumers as well as new competition holistically improves productivity and incentivizes innovation. One possible counterargument is that high-speed rail wouldn’t generate any new economic activity because it would merely replace already existing modes of transportation rather than create new traffic. However, many cases of high-speed rail have only complemented other transportation methods. For instance, many airports in megacities are overcrowded, so high-speed rail serves to alleviate that by offering an alternative. In other cases, some French high-speed rail lines stop at airports, and many German airports are linked to high-speed rail. Furthermore, surveys have found that over half of the passengers of China’s most popular high-speed rail lines are new traffic; people that wouldn’t have made those trips were it not for the availability of high-speed rail. In practice, however, results have been mixed. There is no clear academic consensus on the economic impact of high-speed rails. Different lines with varying conditions have yielded contrasting results, and many have claimed that reported economic gains are exaggerated. Additionally, concretely measuring the economic growth in a region caused by the implementation of high-speed rail has proven to be a very challenging task. For instance, a study regarding the KTX rail line in Korea indicates that while the increase in physical and human capital in areas lead to positive regional economic growth, other indicators like the gross regional domestic product and gross capital formation slowed in the years after the construction of the high-speed rail. Nevertheless, governments across the world are interested in high-speed rail for the potential economic growth that it can generate. Empirical evidence has shown that, when implemented properly, high-speed rail can accelerate economic activity and yield positive economic growth. Unlike other forms of transportation, modern high-speed rails run on renewable energy sources rather than fossil fuels. While personal electric cars and biofuel are still in development, electric-fueled high-speed rail has been feasible and utilized since the 1980s. As such, countries that have high-speed rail networks have seen reduced oil consumption and have experimented with environmentally-friendly ways to travel around. Because high-speed rail runs on green energy sources, there is a significant reduction in emission per person when compared to other methods of transportation like cars or planes. Estimates have found that for a 240-mile trip, the average car would produce 157 pounds of carbon dioxide per person, while planes would produce 133.7 pounds. In contrast, high-speed rail would only emit about 32.1 pounds. Clearly, high-speed rail is an effective way for commuters to reduce their carbon footprint while traveling. It’s arguable that high-speed rail networks don’t actually reduce net emissions since so much gas is outputted during the construction of the railway. Certainly, the train will be greener than other modes of transportation, but inputs for construction need to be included. However, studies have found that those emissions can be quickly compensated for. The estimated amount of greenhouse gases produced during construction can be recuperated through the usage of high-speed rail within six to thirteen years. Meanwhile, networks are designed to operate for 60-100 years; meaning, while there would be a short-term increase in emissions, over the course of the system’s lifetime those outputs are more than made up for. Beyond emissions, high-speed rail is less harmful towards biodiversity and sensitive habitats. For instance, high-speed rail can reduce noise pollution through properly designed wheels and rails and the implementation of sound barriers. Through precautionary design, rail lines can also avoid negatively affecting aquatic environments like streams or wetlands. Furthermore, the construction and maintenance of rail lines would have minimal and only temporary effects on wildlife. Despite the benefits and widespread use of high-speed rail throughout the First World, the United States has made little progress in the construction of a high-speed rail of its own. Even though funding for such a project was first allocated all the way back in 1965 through the High-Speed Ground Transportation Act, the US still does not have an operational high-speed rail. While there are a few train lines like Amtrak scattered throughout the country, the primary site for high-speed rail innovation is in California. Yet, despite its lofty goals of linking together the major cities of the state, the program has been riddled with difficulties, from incessant delays and cost overruns to the departure of key staff members. This all begs the question, why has high-speed rail failed in the United States? To begin, the shape and size of the country does not lend itself in favor of high-speed rail. In order to succeed, high-speed rail needs passengers to utilize its services. To achieve that, there needs to be a high concentration of people around stations. Looking at Western European and Asian countries, the population is dense enough that people reap the benefits of high-speed rail. 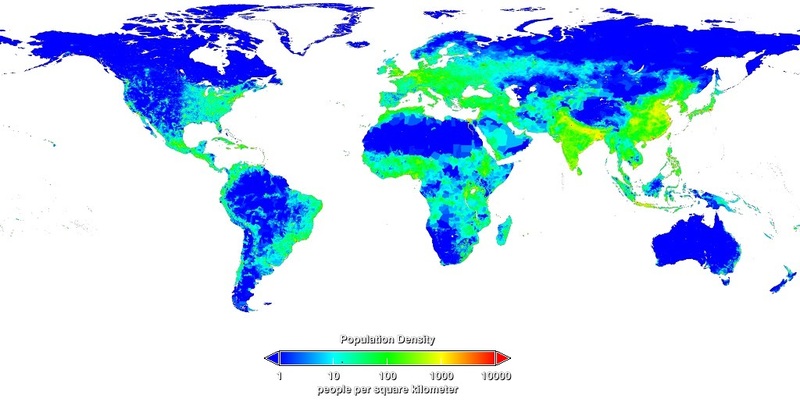 However, no area in the United States comes close to matching that level of density. As such, rail lines in the US would not achieve benefits to the same extent as lines in other First World countries. Beyond that, several institutional characteristics stand in the way of the construction of an American high-speed rail. For instance, there is little support in Washington to provide funding for such a project. The last attempt at funding was in 2009, and since then there has been little to no federal leadership on high-speed rail construction. It is even more difficult for states to lead the project since successful rail lines would certainly have to cross state lines. Additionally, the stringent property rights in America makes it difficult and expensive to acquire the land needed for the rail. Compared to a country like China, where much of the land space is owned by the government, it is much harder to find room to build more lines in the United States. Furthermore, the suburban layout of American cities means that once passengers exit the train, they would likely still need cars to arrive at their final destination within the city. These effects combined indicate that a high-speed rail network in the United States will likely never be as successful as those operating abroad. High-speed rail is certainly a good idea, but the conditions for it aren’t yet feasible in the United States. But if high-speed rail isn’t viable in America, it is doubtful that the Hyperloop would be any better. For one, while high-speed rail is feasible today, the technology for the Hyperloop is largely untested, and little academic research has been done on the system. Furthermore, the analysis that exists all point to the fact that the Hyperloop will be vastly more expensive than a high-speed rail system. High-speed rail is an incredible innovation that can revolutionize long-distance travel. It has linked areas together, allowing travelers to cross countries in only a few hours. It has generated significant economic growth in the areas surrounding its stations and has paved the way for green methods of transportation. While it certainly may be an exciting technology for most of the First World, American geography and politics imperil its prospects for becoming implemented on a national level.